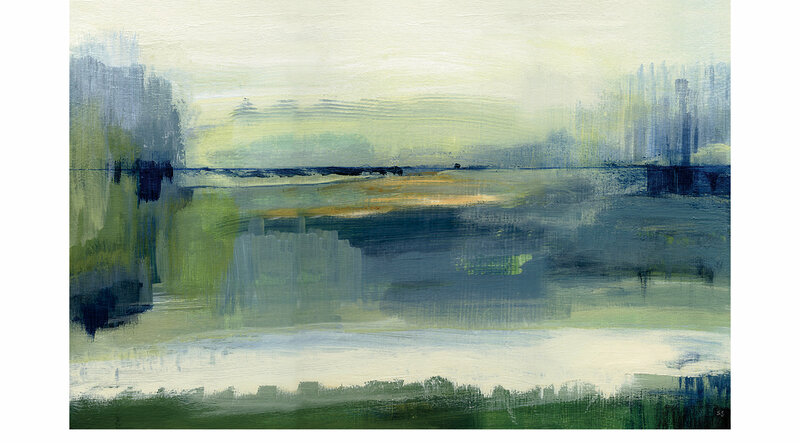 A beautiful blue and green abstract landscape that is on a stretched canvas. The deep rich colors make it a great piece for any home or office. It comes ready to hang and is hand assembled in the USA!